I've been to Vegas several times and experienced it in different ways - on family trips, trips with friends and trips for business. Vegas is not a place for everyone, but it is worth checking out as its "Disneyland for adults" vibe is quite unique. Vegas appeals to people looking to do any of these three things: Gamble, party or eat. There's definitely an abundance of each to say the least. You'll find tables, machines, clubs, bars and buffets anywhere and everywhere. Finding something to do in any of those categories is easy. A couple other things that I've induldged in while in Vegas are shopping and going to events. Fashion Show is a big mall and is centrally located on The Strip, across from the Wynn. A little down the road are spots like the The Venetian, Caesar's Palace and the water show at The Bellagio. Keep in mind though, that places in Vegas are further away from each other than you think. Another place I like is the Premium Outlets, near Downtown. A lot of people's favorite brands are there and it's one of, if not my favorite outlet mall that I've been to. The shows in town are always changing but are always worth it if you can get a ticket. They either have to be a huge seller or have the longevity to sell show after show in the same location, so these are almost guaranteed to be good. The two events I've seen was a concert (Sting & The Police) and a UFC fight (saw Hawaii legend BJ Penn). If you're not that into the gambling, partying and pigging out, you'll still find something to enjoy about Vegas. I will say though, even if you're not into those types of activities, the lights and sounds all around can get to you. I've gone with little intention to do any of those and left wondering where all my money went! Las Vegas has no shortage of all-you-can-eat buffets, but Bacchanal in Caesars Palace is arguably the most well known and popular. 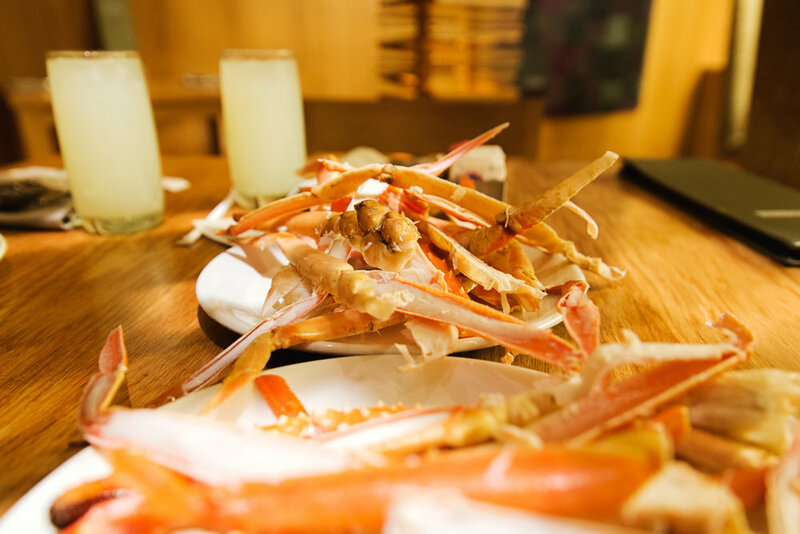 It's been ranked as one of the top buffets in the US in numerous reviews, and features an array of foods from crab legs, sliced beef and a whole lot more. You may have to wait a couple of hours, but they do have a service that will message you when your time is coming up.